Sometimes you need complete coverage but you need to work fast. Other times you may have a large area to cover but don’t want to pay the cost of sod. These situations are where hydroseeding in Edmonds truly shines. It’s a preferred method for municipalities that want to seed fields and a great option for homeowners as well. Country Green Turf Farms is your local hydroseeding leader. We’ve got the equipment, the experience, and the right mixture to make your grass incredible. Is hydroseeding the right choice? We’ve made it simple to determine if hydroseeding is right for you. Just follow our guide to find out. Depending on what you need it for we offer a wide range of mixtures. Choosing the right hydroseeding mixture all depends on what you want to do with your lawn or field. Lawn mixtures that are good for overseeding. 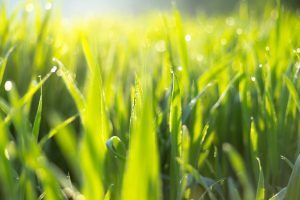 Lawn mixes that are good for shady areas. Lawn mixtures that are good for mixed areas. Sports field mixtures for recreational fields. Low-mow mixtures for orchard growers. Horse pasture and all animal pasture mixes. Enjoy the Benefits of Hydroseeding! Hydroseeding is performed by our technicians. We’ll transport a specially prepared slurry of seed mixture that contains several things. It will have the correct percentages of different grass types appropriate to the mixture, fertilizer to help it grow, and a sticky agent that it stays in place until it germinates. This all leads to some great benefits, making it a premiere choice for large coverage. Cost-effective coverage – Because it’s applied in a mixture, hydroseeding is one of the most cost-effective ways to get full coverage. It takes less time and less labor. It also provides a great consistency with a reduced opportunity for seams or thin areas. Healthy and fast – You don’t have to worry about shocking the plant during transportation. Our seed grows where it lies, nourished by the slurry. Germination occurs very quickly and grass grows more quickly than with comparatively slower hand seeding. Easy erosion control – Since you don’t have to water hydro grass seed, it makes it perfect for slopes and hillsides. The bonding agents help the grass to stay in place and rapidly take hold. This makes it a must when you need to stop erosion fast. Your spray on grass seed source from start to finish. We’ll help with aftercare for your new hydro-seeded lawn in Edmonds. We can provide on-site care or supply you with the fertilizer, aerators, and other equipment you may want to keep your lawn happy and healthy. Get more from your lawn. Call or contact us today.